Mozart’s horn concertos are so well-known that for many listeners the sound of the horn and Mozart are virtually synonymous. Mozart was not the first composer to write solo concertos for the horn, however, and works from earlier on in the eighteenth century give a quite different perspective on the instrument. 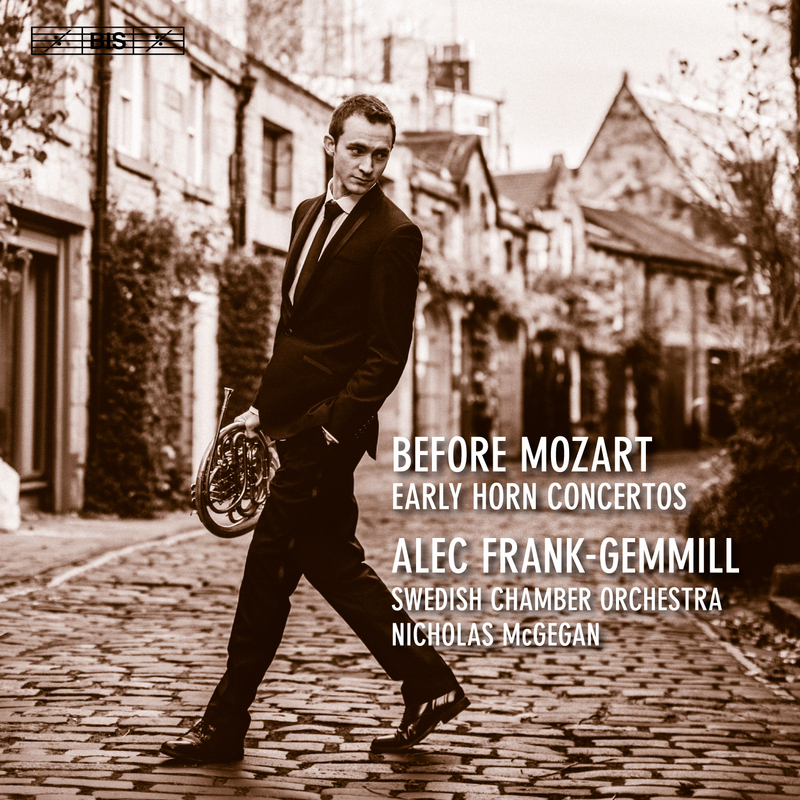 With this disc soloist Alec Frank-Gemmill provides insights into some of these early horn concertos, by composers ranging from Telemann to Haydn, by way of Mozart’s own father, Leopold. In the seventeenth century, when the horn first appeared in classical music, it was in the context of hunting scenes in operas by Lully, Cavalli and others. But the instrument’s true adoption into art music really began the following century in the German-speaking world, where Dresden for a while became the most important centre for performing on, and composing for, the horn. Around 1750, both Christoph Förster and Johann Baptist Georg Neruda wrote extremely demanding and virtuosic concertos – Neruda’s Concerto in E flat major is in such a high register that it has sometimes been assumed to be composed for the trumpet. Through modern innovations in horn design it is once more possible to perform all of these early horn concertos, including parts previously considered ‘impossibly high’. Alec Frank-Gemmill is recognised internationally for the exceptional breadth and depth of his music-making. His interest in historical performance informed his previous, highly acclaimed disc for BIS – a traversal of the horn repertoire throughout some 140 years, performed on four different 19th-century instruments. 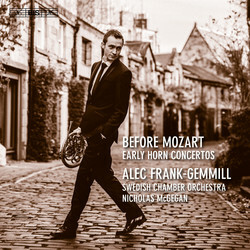 On the present disc he plays on modern horns, but draws heavily on his familiarity with 18th-century horn technique and style, with the support of the Swedish Chamber Orchestra under period performance expert Nicholas McGegan.